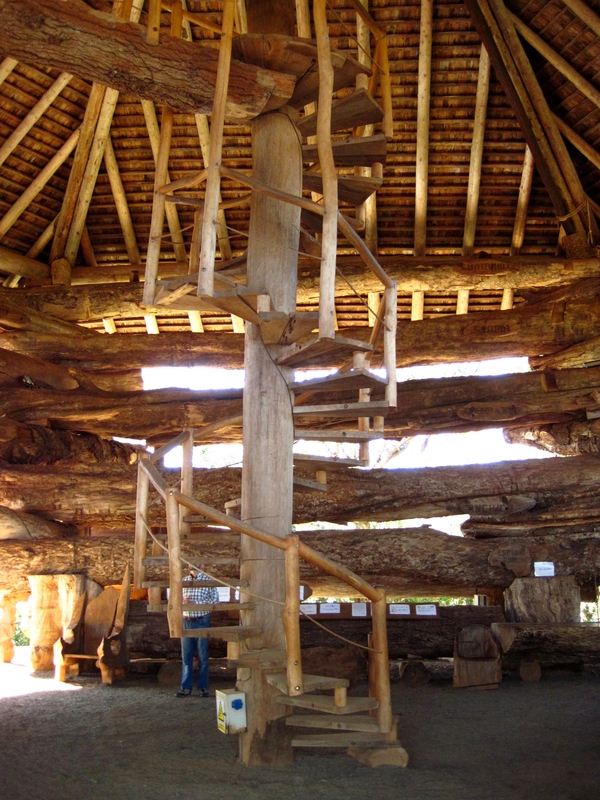 La Aripuca is a trap built from pieces of wood that was used to capture birds and small animals. 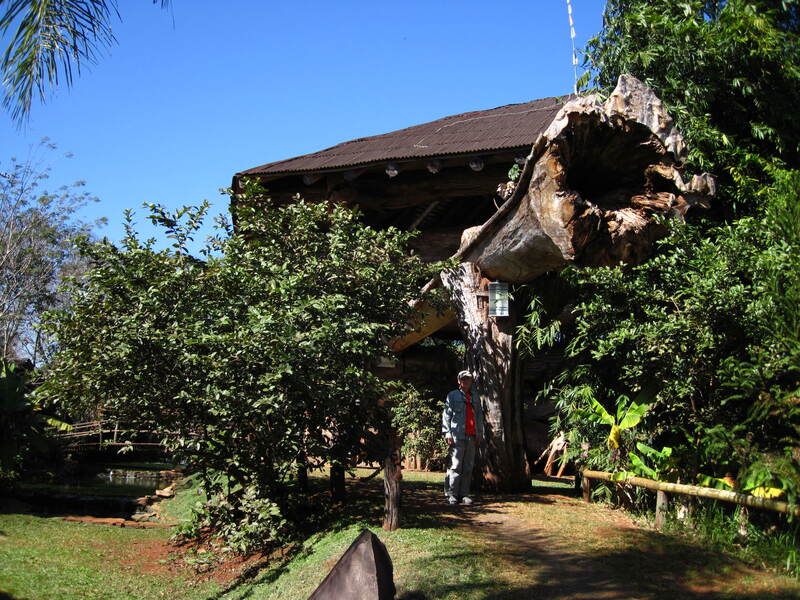 It was a device used by the Guaraní, an indigenous group that used to inhabit the area around Puerto Iguazu. 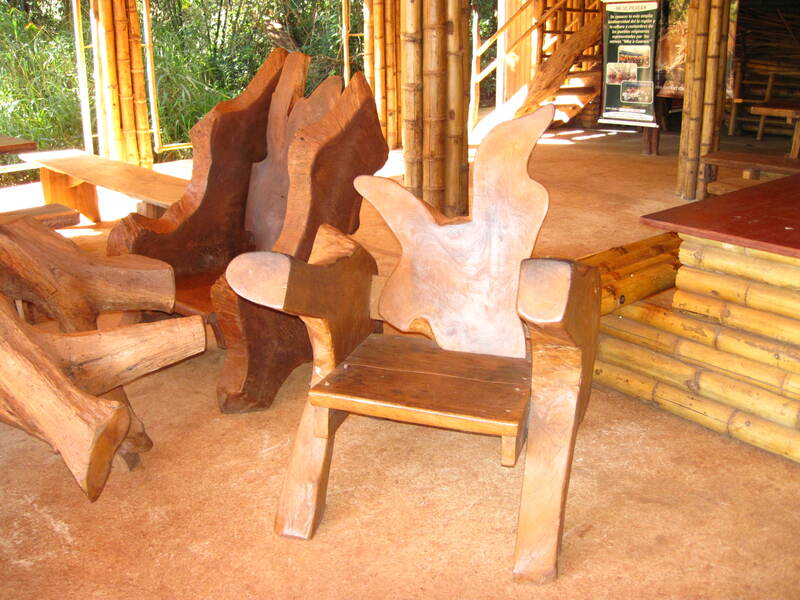 A local family who was concerned about the impact of indiscriminate deforestation in the jungle around Puerto Iguazu began looking for a way to bring attention to this issue. 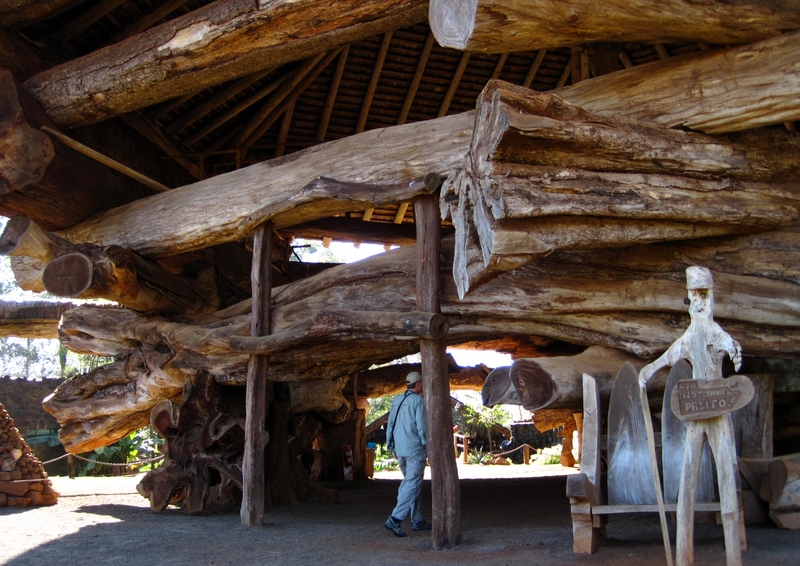 They decided to build a giant “aripuca” using salvaged tree trunks. 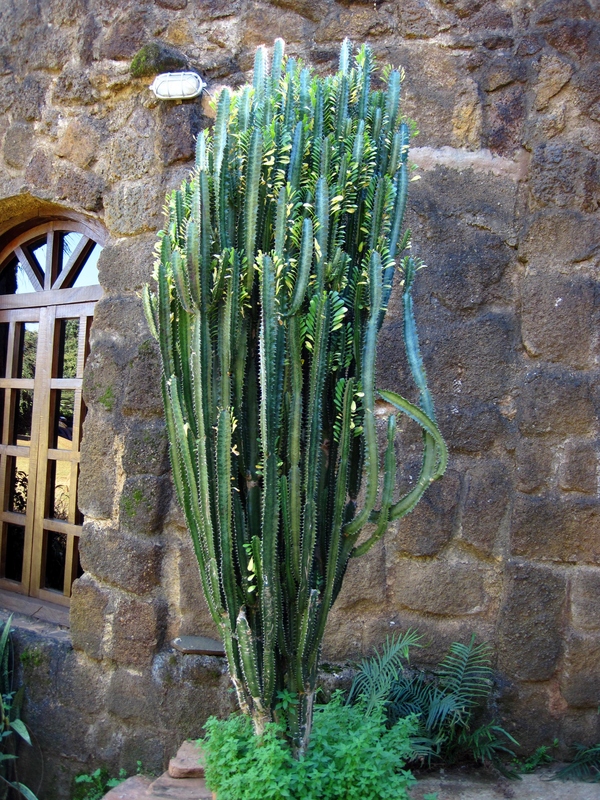 This resulted in the agricultural-ecological-tourist project called La Aripuca. The “aripuca” they built stands 56 feet high with a diameter of 100 feet and weighs some 550 tons. 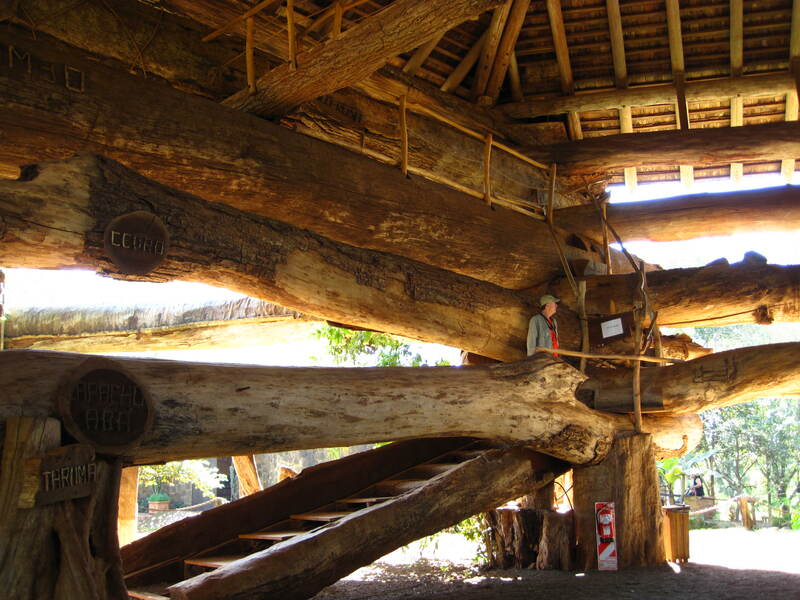 It is built using 28 species of trees many of which are considered to be endangered in the nearby jungle. These trees had reached the end of their natural lives, had been damaged by storms or were purchased from sawmills. 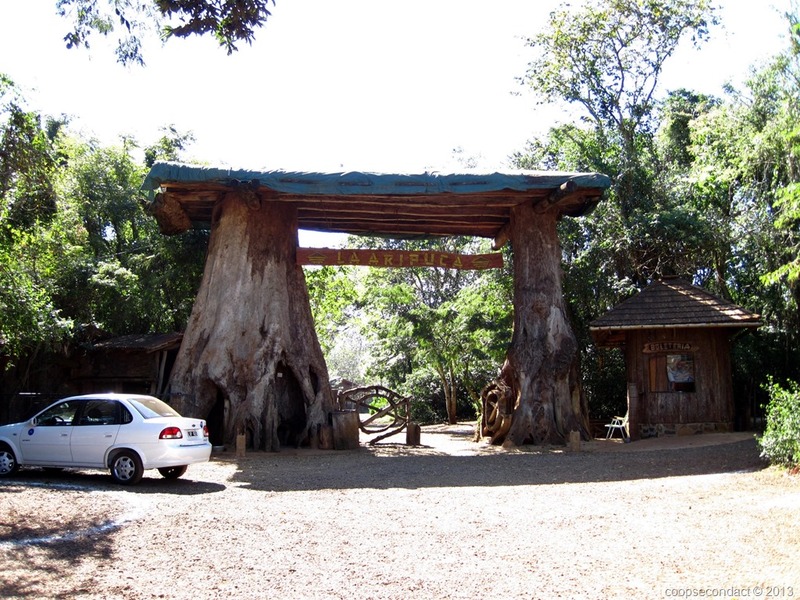 When you get up close to the structure you are struck by the enormity of the tree trunks, each of which is hundreds of years old. 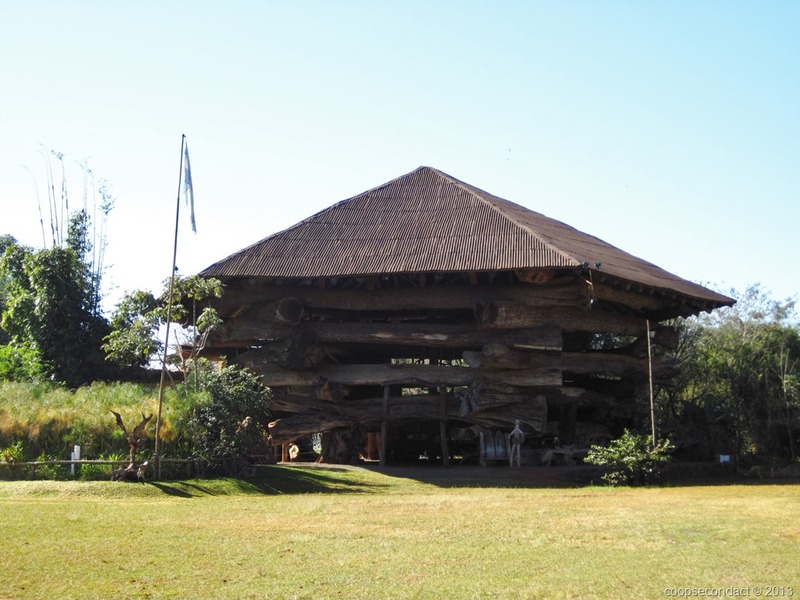 Also on the property are a nice restaurant and a building constructed with locally native stone.